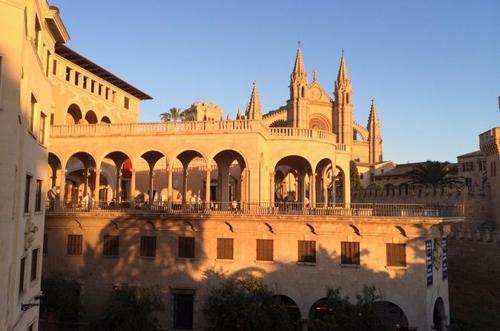 Palma de Mallorca is well known as a popular tourist destination for many people from all over the globe. A significant number of tourists are coming to the island in a company consisted of several people friends or families. Lots of them have a question of how to get moved around the city of Palma and the island itself. The answer becomes apparent as many would agree that hiring a minibus is the best way to get out of the situation. Many tourists take into account travel expenses anyway. There is no way of getting out of it as many of you will use public transport getting a taxi or will take excursions to the main attractions and famous places. Instead, if you calculate and add the total costs of travel expenses of each member of the company it becomes evident that that would be the same as the whole costs that apply for renting a van with a driver. Very often that would be cheaper to hire a minibus rather than using public transport separately for each of you. The car will be waiting for you 24 hours a day something that you will never get by using the alternatives. No responsibilities will be held for any road accidents, speeding, parking in a wrong place with the risk of the car being towed away and paying enormous release fees. The level of convenience stands second to none. Imaging, you have finished visiting a place, had lunch in a restaurant or want to change the surroundings by going immediately to a different beach. All your dreams come true with a flex of a finger, and the whole vocation becomes a fairytale. Transfer after arrival at the airport or at the seaport could be costly. Taxis usually charge premium whilst taking clients to or from these destinations. By booking our services, the transfer will simply be included in the rental or in other words will be free of charge. 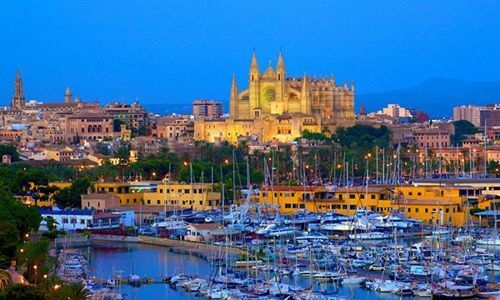 The rental time will commence right from the moment you arrive and leave Palma de Mallorca. There won’t be any needs for filling in all the papers or finding the right direction to go to a hotel, the chauffeur will do it for you. He also will help you load and offload the luggage. The hired chauffeur will take your company anywhere you like. His knowledge of roads and traffic will help you to make journeys shorter and leisure time greater. An average driver can minimize the time of travel by almost 50% compare to what would have been if you had been sitting behind the steering wheel. The driver can take you to different beaches and eye-catching sites. The places could be changed every day so you can explore the resort island fully. There are so many famous places that are also very popular among individuals who come here for holidays. The most common booking we receive is made for ten seater minibuses. However, larger vehicles can be provided at your request. Most of the vans are produced by common manufactures, such as Toyota, Renault, Volkswagen etc. Also, the VIP minibus could be supplied to you. This vehicle will be made by a prestige manufacture, provide more comfort, better seats, leather interior. Things like stereo systems, TVs, air conditioning could be found on almost every van you rent. At your request, it could also be equipped with a Wi-Fi system. List the range of your requirements. Receive recommendation and our friendly advice. Our firm guarantees you the highest service possible that will make your holiday in Palma de Mallorca memorable and very pleasant.